Welcome to our Beautiful World! The world around us is a gift from God – Look after our world! 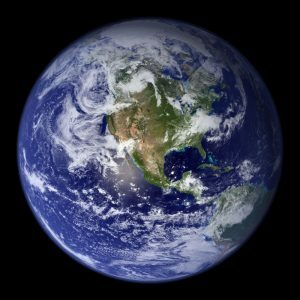 Here is planet earth seen from space – the earth we all share! This wonderful picture was taken from space by astronauts. Look closely, what can you see? The seas are blue in this photo, the clouds are white and the land is green and brown. Doesn’t it look beautiful, and we have been given a special job to help look after our home. There is a message for YOU about planet earth from Pope Francis called Laudato Si – ‘Our Common Home’. What is the Pope asking us to do in his letter? How does the Pope say we have treated the Earth? What has happened to the Earth because of this? So how can we care for our earth home? Have a good look around where you live and play. Can you help to clean up by picking up rubbish and recycling? Can you help plant more trees and flowers near your house? Here are some other ideas on how we can help our wonderful world! Dear God, thank you for this beautiful planet. Bless it and keep it safe from harm. We pray for the protection of the animals, the soil, air and water. May we care for all you have made. Help us to love the Earth as you do. We pray in Jesus’ name. Amen.